The Duchess of Cambridge has accepted honorary Patron positions for four charities. In addition, The Duchess of Cambridge is to become a volunteer in the Scout Association, volunteering time privately with groups in north Wales and elsewhere as opportunity arises. The Duchess’ first Patronages and her volunteer position reflect Her Royal Highness’s personal interests in the arts, the promotion of outdoor activity, and supporting people who are in need of all ages, especially young children. The Duchess’ new roles reflect Her Royal Highness’s wish to support the Royal Family’s work in highlighting important causes in the charitable and voluntary sector and the arts. The Duchess has chosen to support organisations that complement the charitable work already undertaken by her husband. Each of the organisations chosen plays a leading role in its sphere either nationally or in local communities. The Duchess of Cambridge began her private research into charitable causes in September 2011. The private programme undertaken by The Duchess consisted of meetings at St. James’s Palace and private visits to a number of sites. In addition, The Duchess personally considered all requests for Patronage that were sent to her. She will, over the coming months, undertake both private and public visits across the United Kingdom to the organisations of which she is Patron and Royal Patron. The Duchess will volunteer primarily with the younger Members of the Scout Movement – Beaver Scouts and Cub Scouts – in the vicinity of her and The Duke’s home in north Wales and elsewhere as opportunity arises. Her Royal Highness will become what is formally termed an Occasional Helper in the Scout Association. The role is open to anyone who is interested in helping one or several groups at a frequency that suits the volunteer. Commitment can vary from helping a handful of times a year to most weeks, and is often fulfilled by relatives of children involved in the Movement or interested members of the local community. The Duchess’s personal commitment will be in accordance with her other duties and obligations. Action on Addiction works to free people from addiction, support their families, and educate professionals in the addictions field. The charity has treatment centres throughout England, a specialist family service, an innovative research programme and an expert training centre. The charity has centres in Dorset, London, Merseyside and Wiltshire, but operates nationally. The Art Room works with children to increase their self-esteem, self-confidence and independence through art. Many of the children are disengaged from mainstream education, disruptive or withdrawn and all have been identified as needing time away from their school. The charity’s emphasis is on teaching life skills while encouraging children and young people to both relate and engage with each other. The Art Room employs senior practitioners who are trained in psychotherapy, art, teaching and social work. The charity currently works in Oxford and in north London. The National Portrait Gallery holds the most extensive collection of portraits in the world. The Collection is displayed in London and in a number of locations around the United Kingdom. Artists range from Holbein to Hockney, and the Collection includes work across all media, from painting and sculpture to photography and video. As well as the permanent displays, the Gallery has a diverse and ever-changing programme of exhibitions and events which promote an appreciation of portraiture in all forms, and an energetic learning and outreach programme. The Scout Association provides adventurous activities and personal development opportunities for over 400,000 young men and young women throughout the United Kingdom. The Movement helps young people reach their full potential and develop as active citizens in their community. Beaver Scout Colonies and Cub Scout Packs cater for all young people between six and ten years old. Scouts, Explorer Scouts and members of the Scout Network are aged 11 to 25. Scouting is the largest co-education youth organisation in the world with over 31 million members. The Duchess will join nearly 100,000 volunteers in the UK who give their time to support young people in their communities. In the UK, The Queen is Patron of the Scout Association and The Duke of Kent is its President. 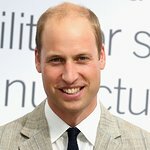 All the organisations above will formally be invited to join The Princes’ Charities Forum, an initiative started by The Duke of Cambridge and Prince Harry in 2006 to bring together their charitable interests. The Forum will consist of 32 organisations once the organisations affiliated to The Duchess are included. More information about the Forum can be found at www.dukeandduchessofcambridge.org.